Beyonce and Jay-Z are no stranger to a fancy event, but when the duo arrived at the 2013 Presidential Inauguration, they stole the show. 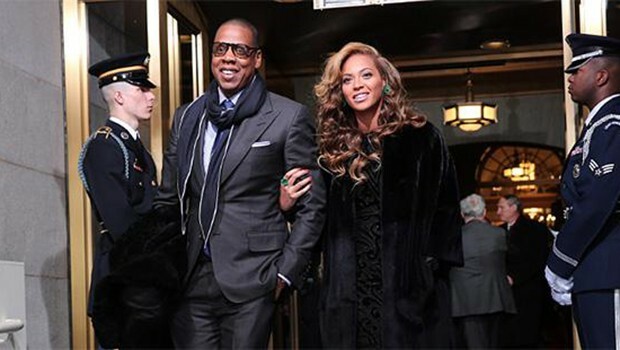 Beyonce and Jay-Z arrived minutes before the event began. The fashion icon was invited to sing the National Anthem and she was incredible! Her fashion did not disappoint either. B wore a long black Pucci dress, emerald jewelry by Lorraine Schwartz and a gorgeous long black Christian Dior coat. Jay-Z donned a tailored Tom Ford suit and sunglasses. We are beyond excited to see what B will wear in a few weeks at the 2013 Superbowl.